22 February, 1936: First Ordination service outside Kerala. 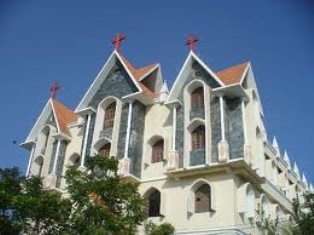 The Mar Thoma congregation in Madras was formed in 1915. As there were no resident priests in Madras, the spiritual needs of the members were fulfilled by visiting priests and evangelists. Many requests were sent to Titus II Metropolitan for a resident Priest. Deacon C. K. Mathai, who completed his Theological studies in the Kottayam seminary, was sent to Madras to look after the spiritual needs of the congregation. Bishop Titus II even made arrangements for his intermediate studies at the Madras Christian College. To fulfill the long cherished desire of the Madras Congregation, Titus II decided to conduct the ordination ceremony in Madras itself. Titus II ordained Deacon C. K. Mathai and another person as priests in the St. John’s Church in Madras. Very Rev. V. P. Mammen, Rev. M.G. Zachariah Malpan, and Rev. V. I. Philipose and priests from sister churches were present for the Ordination ceremony.